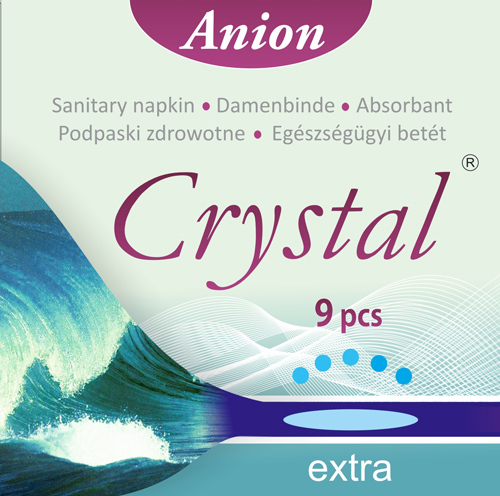 Crstal Anion sanitary pad features a slim, soft cottony cover top anion sheet that has an individual liquid absorbent and airlaid ability. 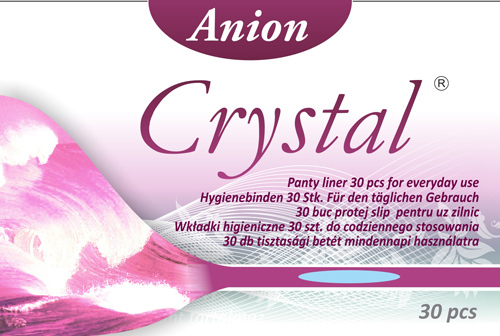 Anion help to block the multiplication of fungous diseases, bacteria and viruses. As a result of their actions, the configuration of sensitive proteins modifies so they do not trigger off allergic reaction in the human body. On the basis of these characteristics they can perfectly be used for the preservation of hygiene. Crystal Anion sanitary napkin normal 10pcs.